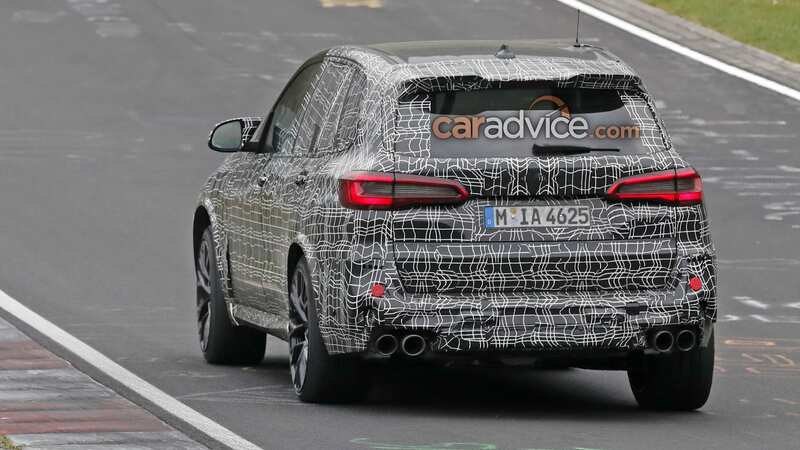 BMW has stripped some of the camouflage from its upcoming X5 M, which has been snapped lapping the legendary Nurburgring.With less cladding to hide its line, the new X5 M looks production ready. 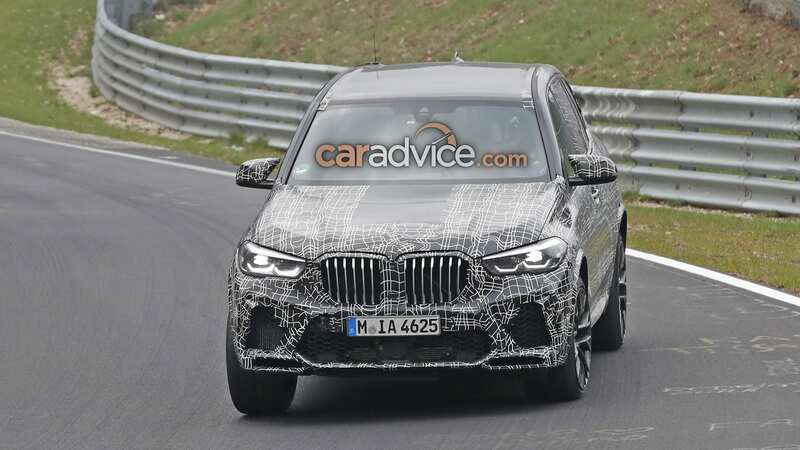 The angry intakes and lower, more aggressive splitter instantly separate the car from regular X5 models, while the intricate wheels share their design with the M5 Competition.The new X5 M will be offered in M and M Competition guises, in keeping with the wider M GmbH range. Under the skin, the X5 M's fresh platform – dubbed CLAR and shared with everything from the 5 Series to the Rolls-Royce Ghost – should help shed some weight, while delivering a stiffer base upon which M can work its handling magic.There are four chunky exhaust pipes poking out the back of car, while those sharp wheels hide a set of big brakes with blue calipers and drilled discs. 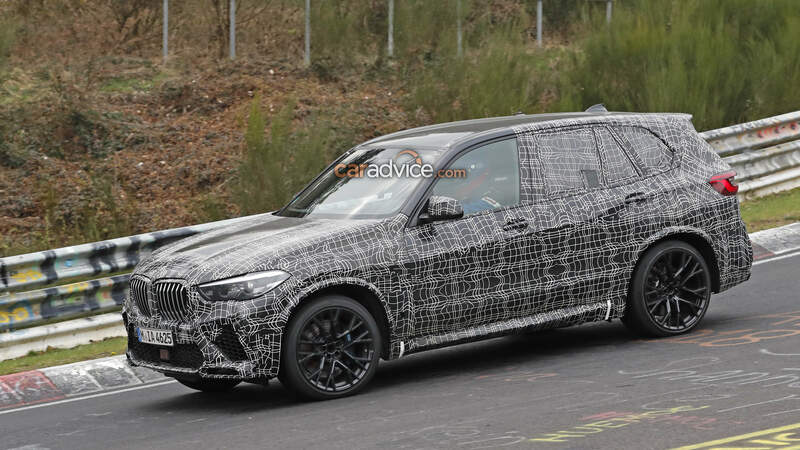 Racy.Previous leaked images, one of which is posted above, have revealed the X5 M Competition will get blacked-out badging and a carbon lip spoiler, along with pumped up guards. All of those are touches already applied to other Competition models. Power in the X5 M and X6 M is expected to come from a variation of that car's 4.4-litre, twin-turbo V8 engine. It'll be all-wheel drive, but whether the clever rear-drive mode featuring in BMW's flagship performance sedan carries over remains to be seen.